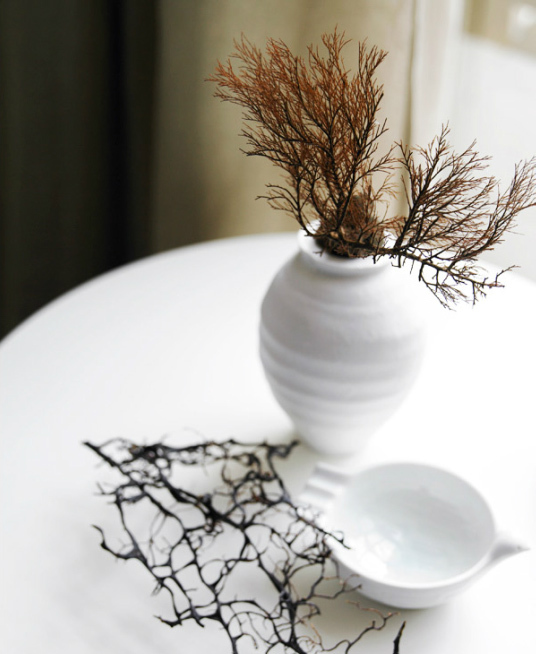 A pretty still life for your Thursday. Love the gentle textures in this image. From Intelligent Life: "When is a dress more than a dress? When it becomes a message written in silk, cotton and thread. Veronica Horwell works out what makes some outfits unforgettable, and selects the greatest." Fascinating long read by Colin Dickey about the history of 'sympathetic magic', a phrase coined in 1890 by anthropologist James G. Frazer in his book The Golden Bough to describe the belief that everyday objects could affect human behavior and physical actions. A selection of recipes from such writers as Vladimir Nabokov (who sternly advises on how to boil eggs HIS way) Hemingway's pan fried trout, Elizabeth Bishop's brownies, Colette's truffles, Emily Dickinson's coconut cake and Allen Ginsberg's cold summer borscht among others. 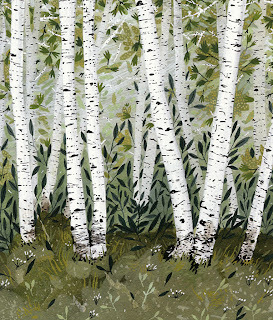 Via Paris Review. From the Wired article: "Whereas patent drawings from the 1800s and even early- to mid-1900s featured artistic techniques like shading, multiple perspectives and texture, today's patent drawings are often embarrassing doodles at best." Via ArtsJournal. Thought provoking opinion piece in the New York Times about the popularity of image-sharing sites and what they have to say about our behaviour. I actually disagree with the conclusion reached by the author — attributing it to a culture of 'longing' seems too simplistic, in that it chooses to ignore the appreciation of beauty as something worthy in and of itself (or how these sites are also used as notebooks and references). It also ignores some truly brilliant online collections, assembled by people with an amazing eye for design. Feeling nostalgic for the classic clattering sound of the typewriter? Check out Noisy Typer by Theo Watson, a free piece of software that plays typewriter sounds as you type. It runs in the background and works with all applications ( email, web, word etc ). Key sounds include: letter keys, spacebar, backspace, carriage return and scroll up and down. At the moment it’s OS X only. Via today and tomorrow. This is cool — Holly Gilliam, daughter of Monty Python's Terry Gilliam, has begun cataloguing her father's personal archives online. Holly describes her blog Discovering Dad as from “pre-Python days through Python to his feature films and beyond”. The site Laughing Squid notes that "What is emerging is a fascinating photographic hodgepodge of doodles, storyboards, and other artifacts from his creative life. The blog is ongoing, so be sure to check in to see what items have recently been discovered." Saveur has a nice selection of avocado recipes that look amazing — I'll definitely be trying a few of these out. We eat a lot of avocado at home — and buying a bag of them at the grocery store the other day, the girl at the checkout spontaneously offered me her recipe for a pre-workout smoothie, which was really sweet (she blends one avocado, half a cup of mixed frozen berries and a splash of orange juice). 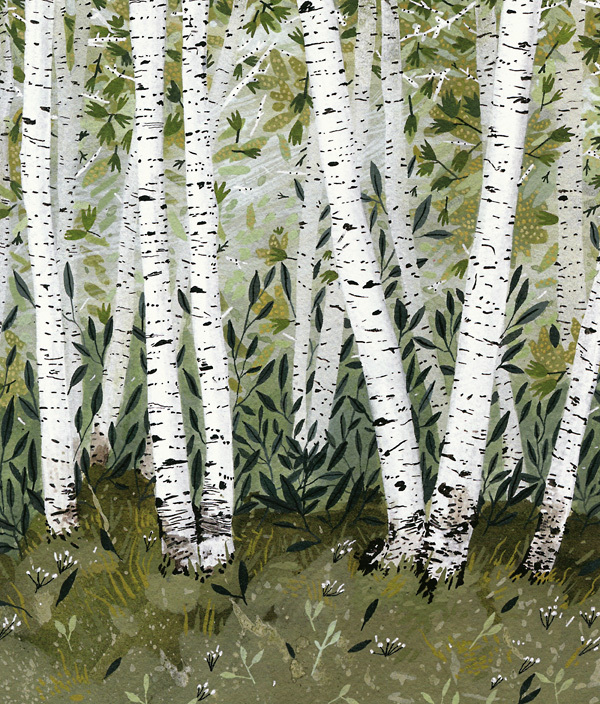 I'm smitten with this lovely Birch Trees print by Becca Stadtlander — just gorgeous. Available here from Mammoth and Company.